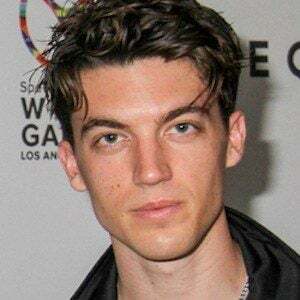 Frontman and lead vocalist of the synthpop trio LANY alongside Les Priest and Jake Goss. They are popular for EPs such as Acronymns and I Loved You. He began making music in a bedroom in Nashville with Les and Jake. They formed LANY, which stands for "Los Angeles New York," in March of 2014. He's a recognized model whose worked with notable brands such as Prada, Banana republic and Zanerobe. He has lived in Oklahoma and Tennessee and has worked out of New York and Los Angeles. In July 2018, he began dating Nicola Peltz. He previously dated pop singer Dua Lipa. He and LANY performed at Lollapalooza the same year that artists such as Paul McCartney and Sam Smith did.